16.03. 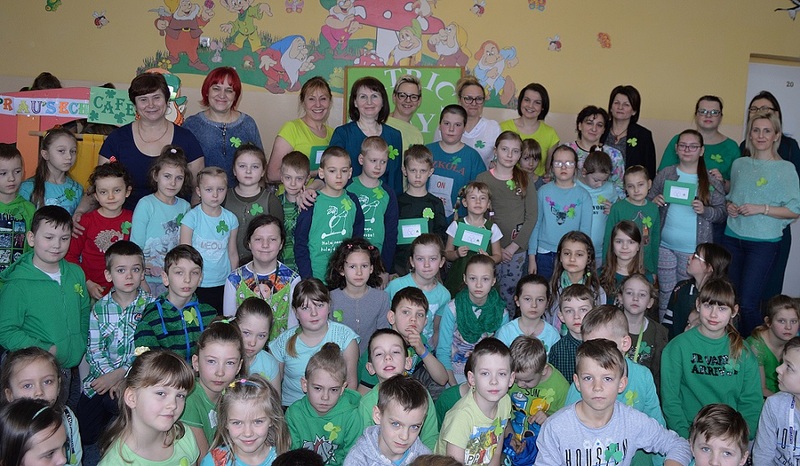 2018 we celebrated Patryk’s day at school. Everyone was dressed in green with a green clover. The Erasmus + circle has prepared many attractions for students: a presentation about Ireland and other EU countries cooperating with our school, searching for the Lapuchaun”s treasure, solving a crossword puzzle, deciphering messages, arranging a puzzle, painting a picture, a shop with green sweets. Tytuł projektu Rights In Sight Everyone!